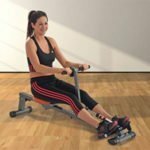 Is The Wonder Core Smart Total Body Exercise System Smart Enough for Ab Toning Workout? 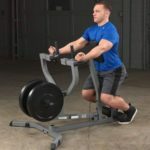 The Wonder Core Smart Total Body Exercise System is one of those workout devices that will confuse newcomers at first. This is a compact little tool that is designed to aid the core through a range of motions. Yet, the simplicity of the look and the shape leads to some questions over its use. This is the 6-in-1 model that allows for 6 different approaches, so there is plenty to learn. The idea here is that this is ready to go straight out of the box, but are users impressed with what they get? fairly easy to figure out. This Wonder Core home gym equipment is a great looking device that is sure to capture the imagination of lots of different people. 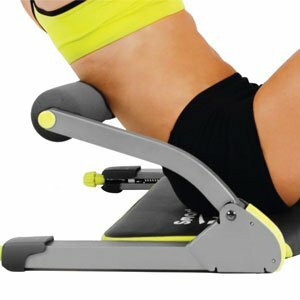 The first selling point with this ab toning device is that small, fully-assembled design. The idea here is that users can take it straight out of the box and put it to work. Everything is in place. 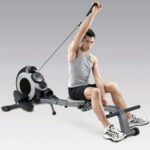 The only considerations come in where to place the device for the workout, and which resistance settings to use. It is easy to carry around and there is an additional non-slip mat for stability and floor protection. Most find it easy enough to set up the resistance and the workout DVD explains all the motions and exercises. The motion of the padded, moving arm works well for lots of different exercises because it moves in both directions. There are 10 to 21kg of resistance on each side. The basic workout with this Wonder Core system combines push-ups, sit-ups, arm and leg exercises and other stretches. This resistance and motion works on the abs and obliques to help users lose weight and tone up. The problem with this WonderCore Smart Total Body Exercise System is that it doesn’t go far enough for all users. This is the sort of simple device that is always going to get a mixed reaction. There are some people that look at this and feel it is the perfect starting point. There are others that feel it is too minimal. Some go through the motions, turn up the resistance settings and wonder what they are missing. For some it isn’t intense or interesting enough. For others, the results are too slow to emerge. It is worth remembering that WonderCore do recommend that this is used in conjunction with a full fitness regime and better diet plan. Summary: is this Wonder Core Smart Total Body Core Developer still recommendable with these issues in mind? There is the definite sense here that this is a beginners model for first time or novice users. Newcomers can get a lot out of this device because of the simple motion, that sense of exploration with the movements and the resistance. The addition of the workout guides and DVD help here. There are some that feel that this is overpriced, but not for those that appreciate the full experience. 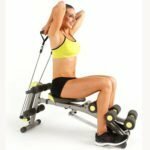 The combination of the Wonder Core Ab Toning Workout Fitness Trainer’s motions, guidance and comfortable, compact design mean that it is still recommendable. Find more reviews about the Wonder Core Smart System on Amazon here.